Check out this Bella Coastal Decor exclusive! Fade- and stain-resistant premium nylon in teal, aqua, natural and bone. 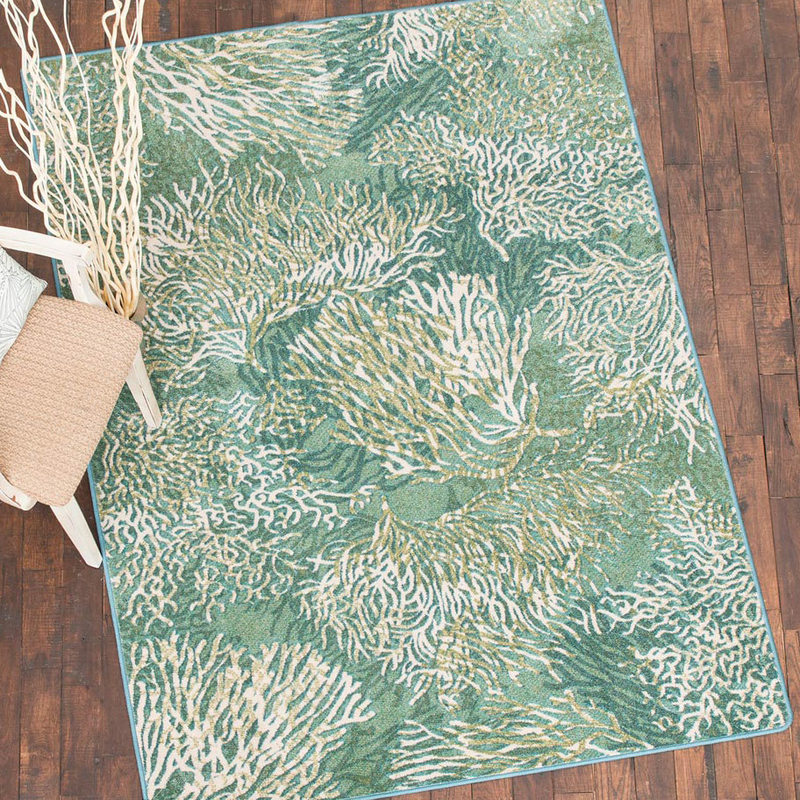 These nautical area rugs are made in the USA. Allow 2 weeks.3'10"W x 5'4"L.